Cafe Mocha Shinsaibashi has the same standard of quality as the rest of the Mocha chain, but also has a problem. Tucked away from the main road in a windowless space (unusual since most Mocha's also offer fantastic views), when I walked in I was dumbstruck by the cafe's beautiful environment and equally beautiful cats. I immediately envisioned myself sitting on the beautiful plaid couch relaxing to the sounds of soft guitar music while petting my favorite cat. It was fun to imagine, even if it didn't exactly turn out that way. As stated before, the facility is truly stunning (and impossibly clean) with sophisticated decor incorporating light wood and a celery green palette. You know this is Mocha based its signature elements- a massive tree in the center of the cafe along with a wall lined with bird cage inspired platforms. I admire the vertical nature of Mocha's cat interiors, something I wish more cat cafes would do, equally pleasing for both felines and people. Speaking of cats, Mocha Shinsaibashi has some of the most gorgeous kitties, mainly long-haired beauties with featherduster-like tails, but I found myself particularly smitten with one handsome Abyssinian. There was a fairly decent number of cats in residence, but most seem to be a bit 'over it' at this point and are uninterested in people, so forget about those visions of a lap visitor. Such is the Mocha experience, a feast for the eyes, but not so much for the soul. The cost of Y200 per 10 minutes is nice if you are just in the neighborhood and want to do a quick pop in, but could be really pricy if you wanted to relax and hang out. 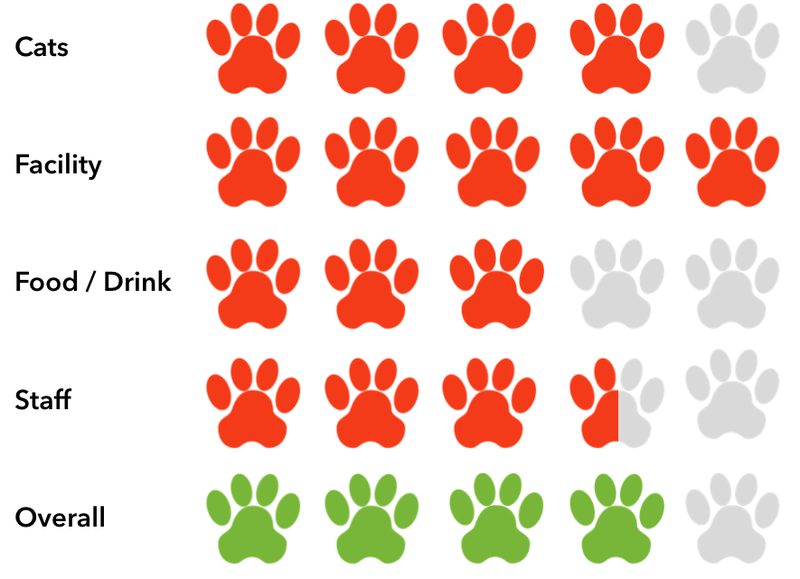 The vending machine dispenses average quality drinks, which are an extra charge. 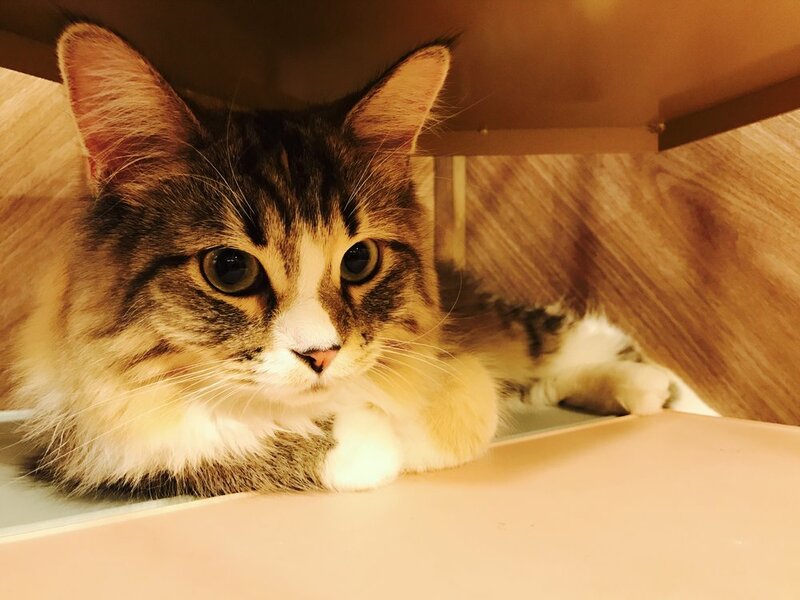 In a nutshell, if you want to see some really pretty cats, especially the rarer breeds, and take some Instagram-worthy photos, Cafe Mocha Shinsaibashi will do the trick. If you are hoping for a little kitty love or crave a more personal experience, there are several other Osaka cafes that might be a better fit.